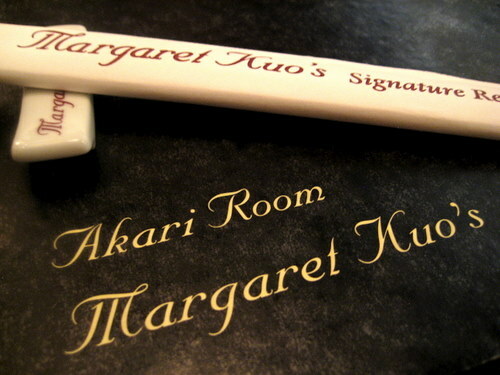 For mother’s day this year, we somehow ended up at Margaret Kuo’s Akari Room in Wayne. My aunt picked it. But then she didn’t end up going. But we had to go anyway. That’s ok, the old lady would have picked sushi anyway. This is on the second floor of the chinese part of Margaret Kuo’s. It’s swanky. 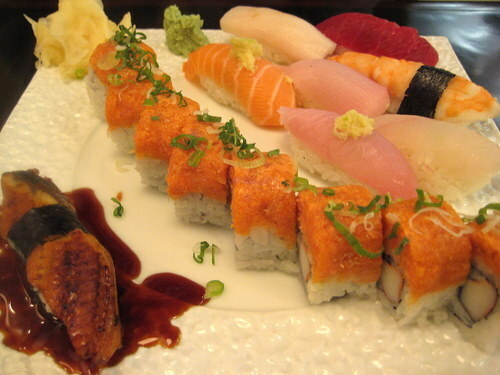 There’s a large sushi bar and plenty of tables and traditional style booths. 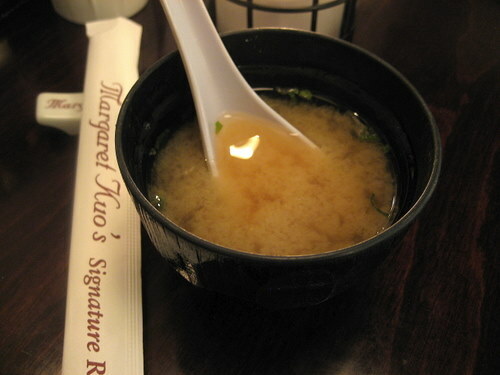 The miso soup – quite respectable. Mom didn’t complain about it being too salty or anything. It was just right. 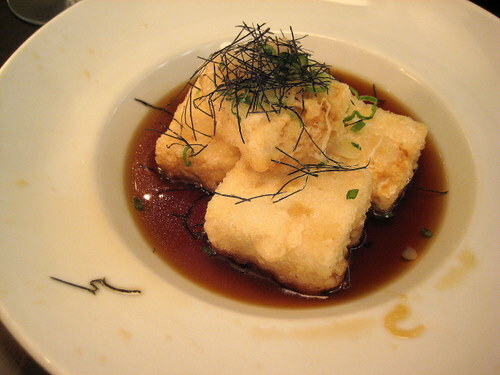 Since I always like to try the agedashi tofu, I tried it here too. And it was good! It was nice and hot and the sauce was spot on. Mom’s sushi dinner, which is usually her go-to at any sushi joint. Everything was good and fresh. 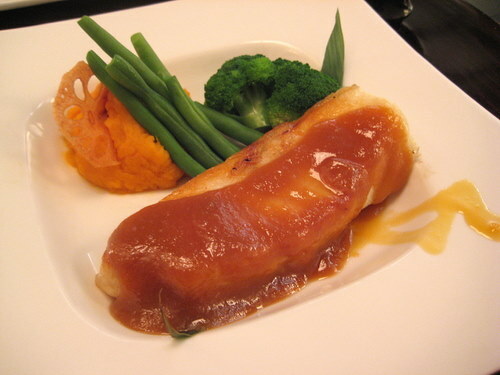 As for me, I went with a grilled chilean sea bass in an orange miso sauce. This was a great big honkin piece of fish! And it tasted great too. The sauce was just a tiny bit on the orangey side, just enough. The veggies were great too. All in all, this was good food with good service and a fancy atmosphere. PW published their "Philly's Top 15 Drinks " list. So of course, I decided to try them all. Join me for this 15-post series, as I test out each of these cocktails to see just how worthy they are. Read the whole series! everything © foodzings 2007 - 2016, unless otherwise specified. material may not be duplicated, published, modified, or rewritten without explicit permission. all rights reserved.